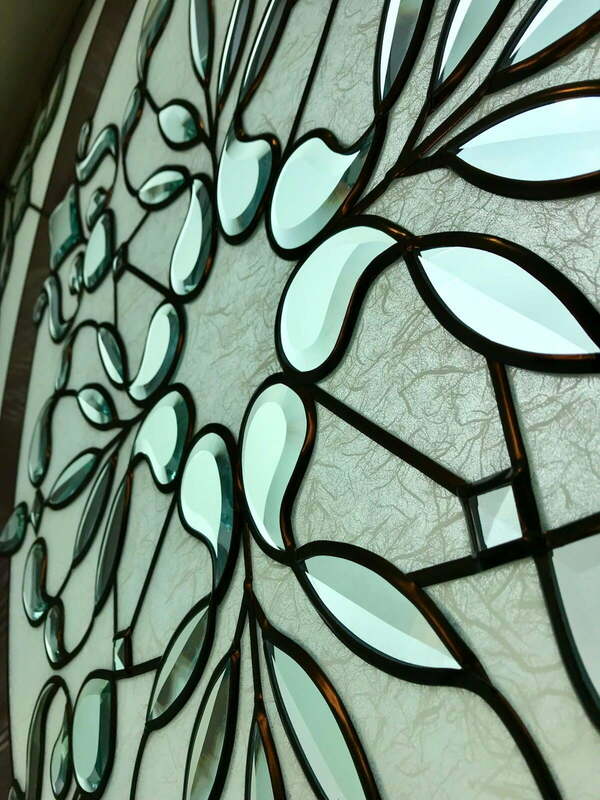 I specialize in creating decorative glass for doors, sidelights, transoms; and bathroom windows. But anything is possible. An amazing entrance can really add style to a house. A good percentage of my work comprises of front door sets which usually include a glass panel on the door itself, sidelights, and sometimes a transom. I've worked on classic traditional designs, modern contemporary and also some very striking commissions. 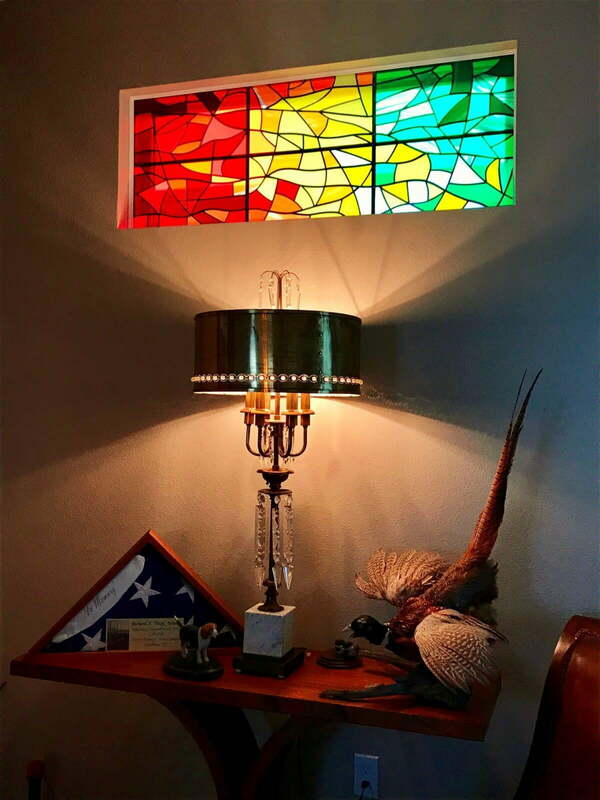 The colors in the glass can really bring warmth and vibrancy into the hallway. 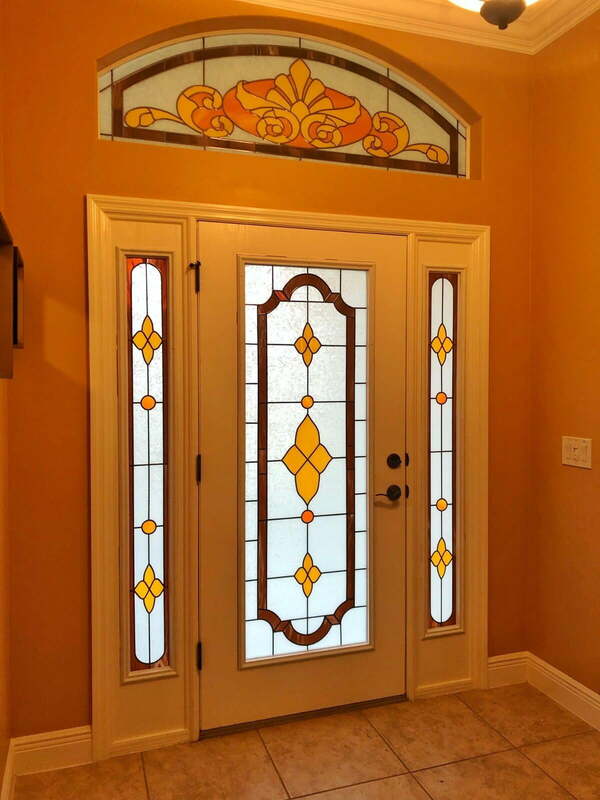 I have worked on numerous doorway transoms to complement and enhance door and sidelight glass. Furthermore, I've also worked on a number of transoms in other areas of the home, such as internally above internal doors, and at the rear of properties. I'm very frequently contacted by customers looking for an idea to offer privacy in their bathroom at the same time as adding style. For houses with close neighbors, a decorative glass window is an ideal way to block out the view of the house next door; and afford excellent privacy to your bathroom. I've created many individual designs to match bathroom colors and styles.